Take in all the natural beauty of the Top End from above, covering Darwin City and surrounds, the amazing harbour and coastline, open eucalypt woodland, termite mounds, billabongs and mangrove creeks. 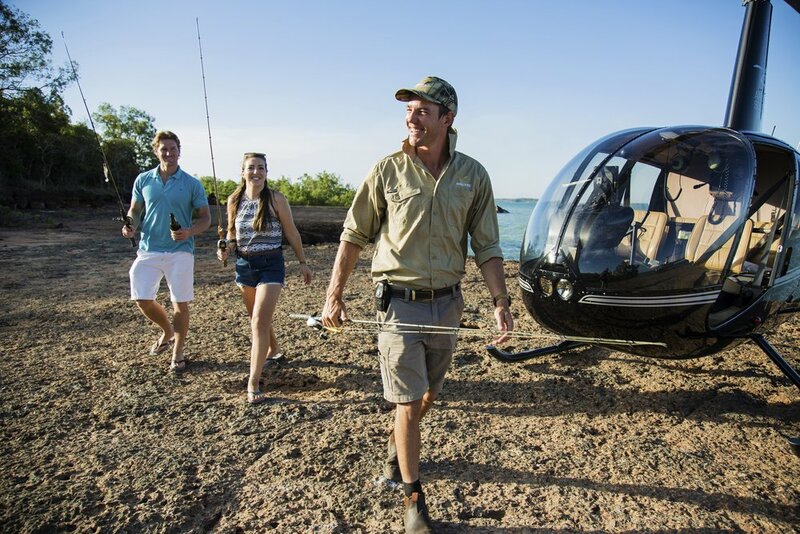 Let us guide you on the fishing adventure of a lifetime, taking you to the Top End's most secluded and treasured fishing locations in search of dominant species including the famous Barramundi. Packages to suit beginners and experienced anglers.